Thank you to Old El Paso for sponsoring this Buffalo Chicken Dip recipe. While I received monetary compensation for this article, all thoughts are always my own. Football season has rocked this year. We are loving it. So we are getting ready for the Big Game, whose house we will all be watching it at. We love to have family get togethers and all route for our favorite team. We make fun bets with each other. Last year, my daughter bet her uncle her team would win. The wager: Who would buy water ice next! 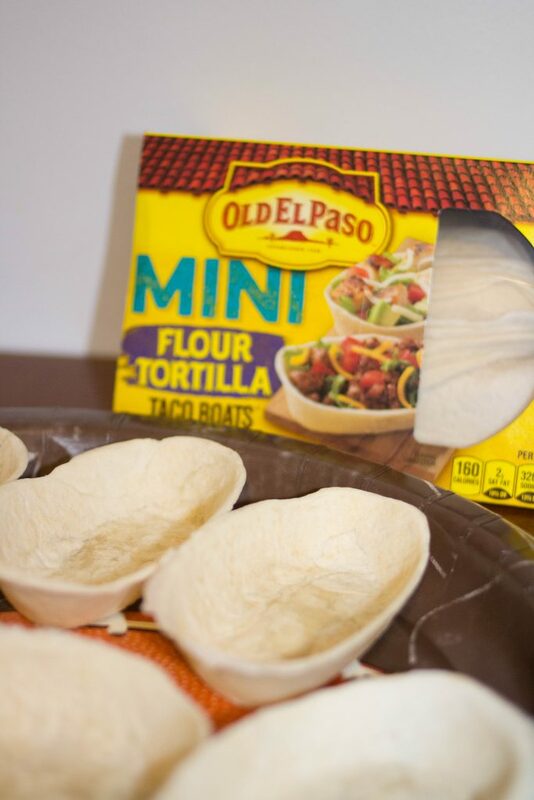 Old El Paso taco boats are like shaped tortillas that work great for putting buffalo dip in, making pizza boats, and of course for tacos. 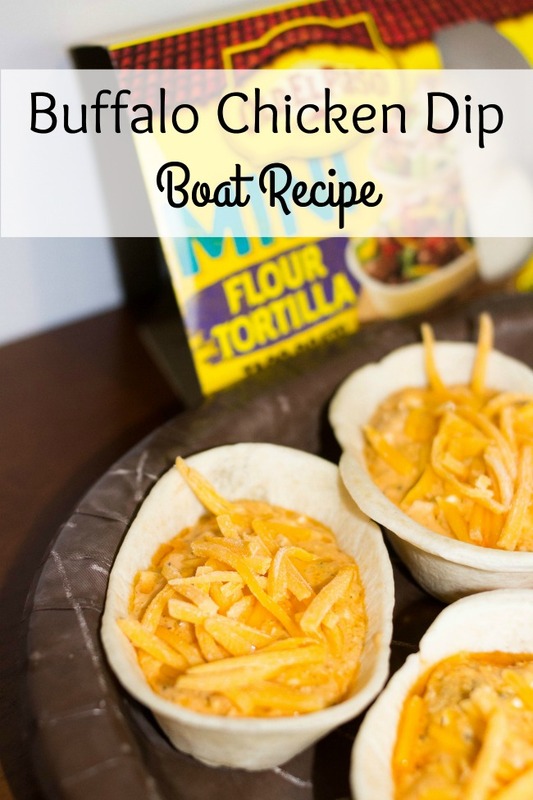 Since the Old El Paso taco boats come in large and small, the boats work for any kind of dish. 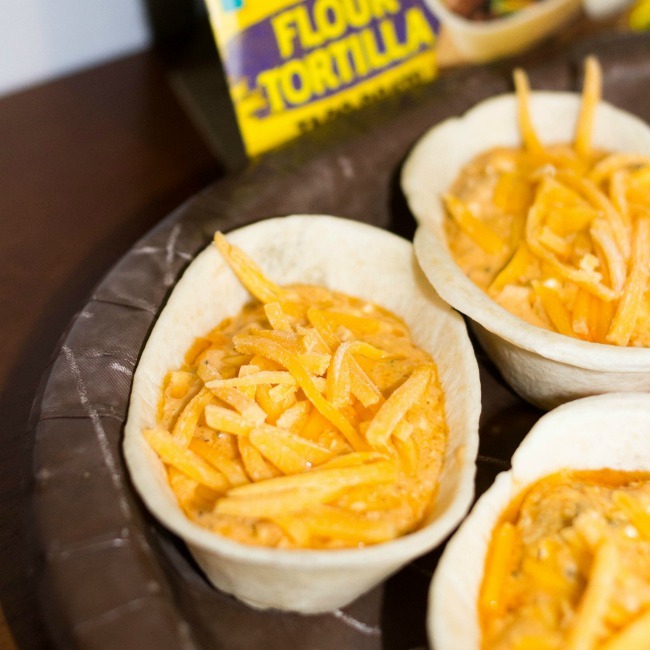 In addition to size, there are a lot varieties of taco boats to choose from like whole wheat, soft tortilla, and mini soft, which is the kind we used. 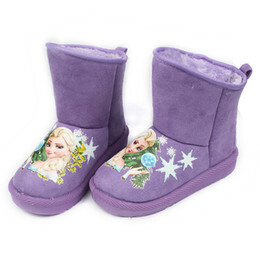 There are also bold shells with different flavors. There is Bold Ranch Stand and Stuff Shells, Bold Spicy Cheddar Stand and Stuff, and Bold Nacho Cheese Stand and Stuff. 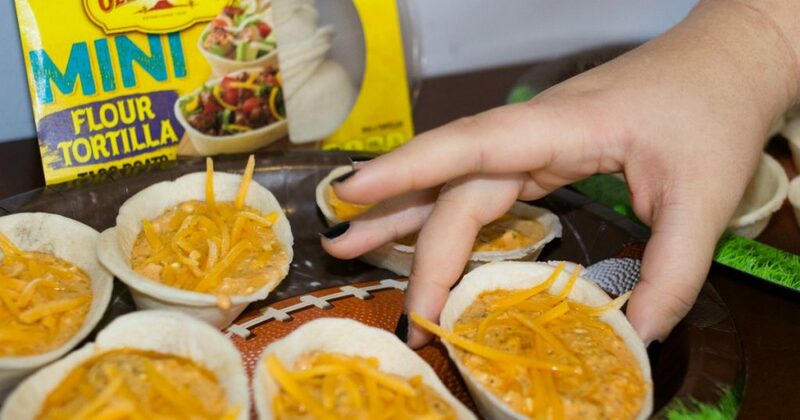 Any of the bold flavors would work amazing with Buffalo Chicken dip for a Game Day recipe. 1/2-3/4 cups of hot sauce Depending on how spicy you like it. We like ours HOT so we use a cup. This recipe can be tailored to be almost no heat at all depending on tastes. I personally like to use my mixer for making this dip. Others I know, use a fork. What ever works for you. Mix the cream cheese, dressing and hot sauce together until mixed thoroughly. Add in the chicken and the cheddar cheese. Once everything in combined, bake for about 20 minutes on 350 degrees, until hot and bubbly. Take it out of the oven and stir. Spoon into El Old Paso Taco Boats right away, or let guests serve themselves. I like to add a little bit more cheese to the top when it is ready to eat. This is a personal choice. This Buffalo Chicken Dip Recipe is a perfect Game Day Recipe, and Old El Paso makes it even better and easier to eat.